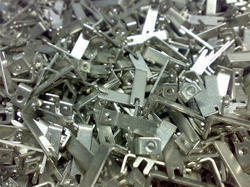 We are a leading service provider for Tin Plating Service. For maximum client satisfaction, we follow a strict quality procedure. Our plating services can be completely relied upon. DR TP is a thin cold-rolled steel that was reduced twice to ensure higher strength. The strength of the material, which contradicts its thinness, enables many can manufacturers to produce lighter products with cost-saving benefits. 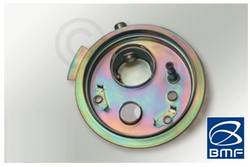 We are engaged in providing different types of coatings which includes, Tin Plating. Our company is master in providing Tin Plating Service. We are service providers of lead tin plating, our running ranges are in 30/70 and 90/10 percentage, also we can change the percentage of lead tin as per your requirements. With the required knowledge and skills in this domain, we are indulged in offering an array of Tin Plating. Our offered Tin Plating is well tested on various defined quality parameters under the expert guidance of our professionals. We offer Tin Plating at very effective rates. Tin Plating basically can be categorised into tin plating and tin alloys plating. Tin plating is extensively used for food preservation container, electrical, electronic components and bearing surfaces. Tin-lead alloys are basically designed for electronic industries. Tin-cobalt alloys are used as a substitute to chrome plating.